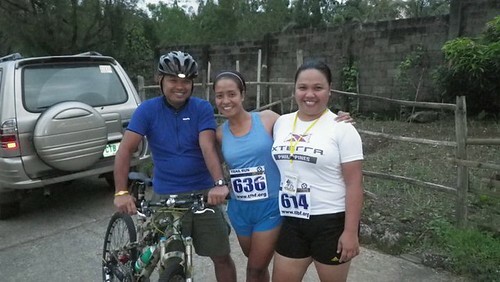 I can’t compare enough the difference between biking and running but I would classify myself as a newbie to running. I don’t practice a lot simply because, I bike more than I run. 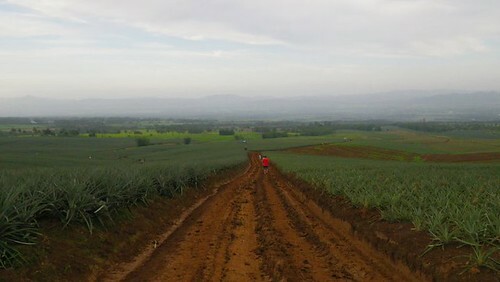 There is also one episode that my shin hurts after running 3K on paved road. I had to stop it however, some running experts told me that it could be the from the shoes I am using or the formation of my running. I suspect, it could be the proper landing of my feet on the ground. 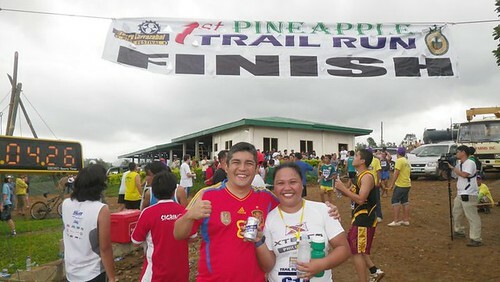 I was not confidence when I registered myself in the Pineapple Trail Run at Terry Larrazabal Bike Festival (TLBF) aside from I lack practice in running, this is my very first 5K trail run. 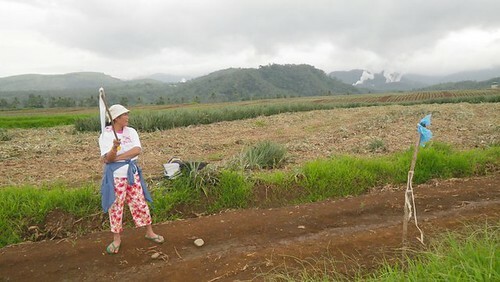 We woke up as early as 0300 because the transportation from Ormoc Centrum to Pineapple Farm will be available at 0330. Participants arrived with race numbers on their shirts and one of them is the Wow Pinay idol, Whreachelle Cordova from Team Marine who bagged 1st Place in our category . Before gun start, I saw the supportive Larrazabal family as they participated in the same category as mine. Race organizer started to announce the mechanics and stated it in 3 dialects: Bisaya, Tagalog and English. 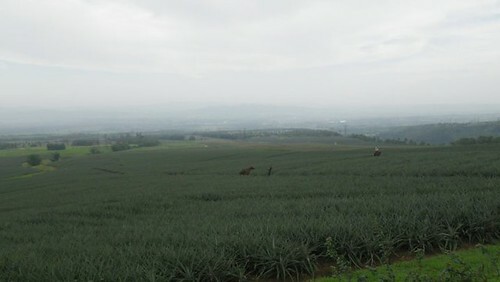 As we arrived at the Pineapple Farm, I was surprise with its beauty. So relaxing and refreshing. 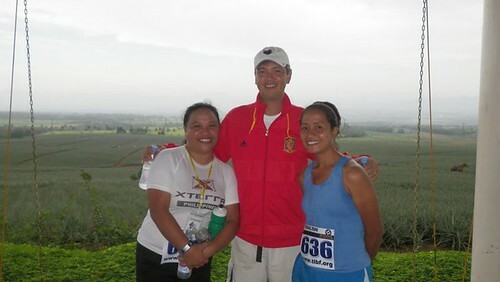 I kept my pace until I reached the finish line at 1:02 as Atty Goyo handed me over his San Miguel Beer Light. Not bad for my first trail and my shin didn’t hurt. Maybe, I start loving running in the trail. Thanks to my usual support. 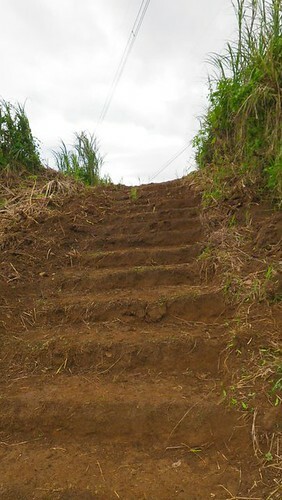 We missed the Cross Country track reading after Ormoc City Tour, we’ll have it after the Pineapple Trail Run instead.